Sip ‘n Sketch is a life drawing open studio for people of any skill level. Materials are provided, but feel free to bring your own materials along with your beverage of choice. 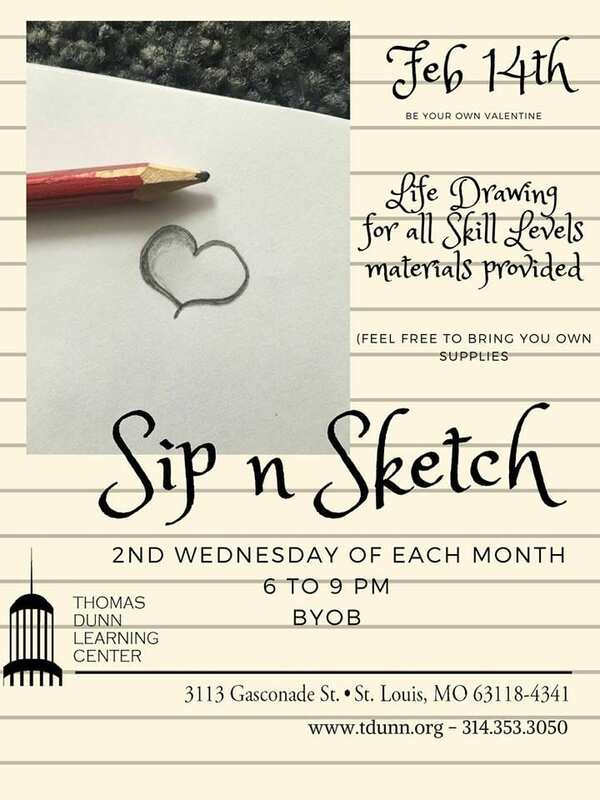 Sip ‘n Sketch meets at Thomas Dunn Learning Center on the second Wednesday of every month. This event was updated on February 5, 2018 . See more Sip 'n Sketch and Thomas Dunn Learning Center events.